Area residents Ned and Barbara Jefferies celebrated their 60th wedding anniversary on Thursday. 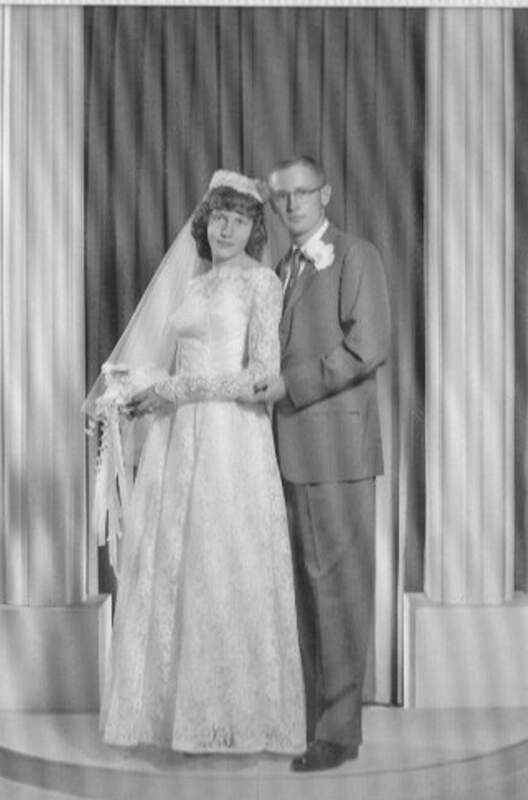 They were married Aug. 16, 1958, at Bayfield Presbyterian Church in Bayfield. Ned Jefferies, son of the late Walter and Ethel Thompson Jefferies of Durango, and Barbara Wommer, daughter of the late Frank Jr. and Jessie Percell Wommer of Bayfield, first met each other at a dance in Bayfield. Both of their parents were lifetime La Plata County residents from families who have called the area home for several generations – the Jefferieses in Durango and the Wommers, a Pine River Valley ranching family in Bayfield. After he graduated from Durango High School in 1954, Ned Jefferies attended Colorado State University, Utah State University and University of Wyoming, and earned degrees in the range-management field. Barbara Jefferies, before she married her husband, lived on her family’s ranch north of Bayfield and graduated from Bayfield High School in 1955. She attended Fort Lewis College when its campus was still located in Hesperus, and Adams State College, and graduated in education from Utah State College. In 1970, when they settled permanently in Durango, Ned Jefferies started a real estate career and Barbara Jefferies worked as a fifth-grade teacher in Bayfield. While working full-time jobs, they also owned and operated a ranch, where they raised hay and cattle. They have a daughter, Wendy Hlava of Gordon, Nebraska; a son, R. Wayne Jefferies of Durango; and two grandchildren, Will Jefferies of Durango and Donald Hlava of Phoenix. Ned and Barbara Jefferies are now retired. They spend their time as advocates for agriculture with the La Plata-Archuleta Cattlemen’s Association, while they continue to enjoy life on their Florida River ranch.